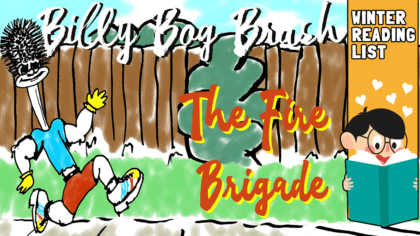 Fun Kids Winter Reading List: Check out ‘The Adventures of Billy Bog Brush: The Fire Brigade’ by Ian Campbell and Tim Constable. Flushington, is the place that Billy Bog Brush calls home. One day Billy is wondering what to do with himself, when he hears his neighbour, Mrs. Brown, crying for help. Billy springs into action, racing to the scene where he finds Mrs. Brown’s house is on fire and she is locked out. 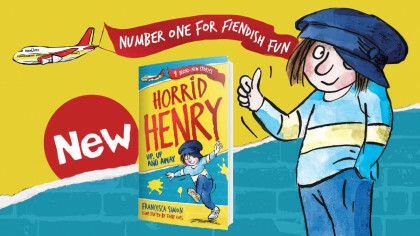 Worst of all, her grandson Tommy is asleep upstairs! Billy must use creative thinking to find a key and help his friends. Will Billy manage to get the key before the fire brigade arrives? What will happen to Mrs. Brown’s house, and to Tommy? Discover more books from Clink Street publisher!